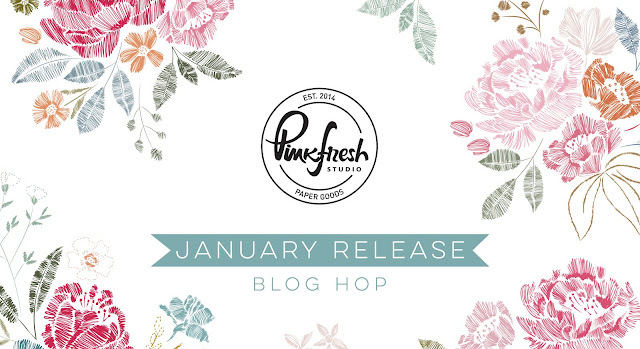 Welcome to Pinkfresh Studio's January Release! 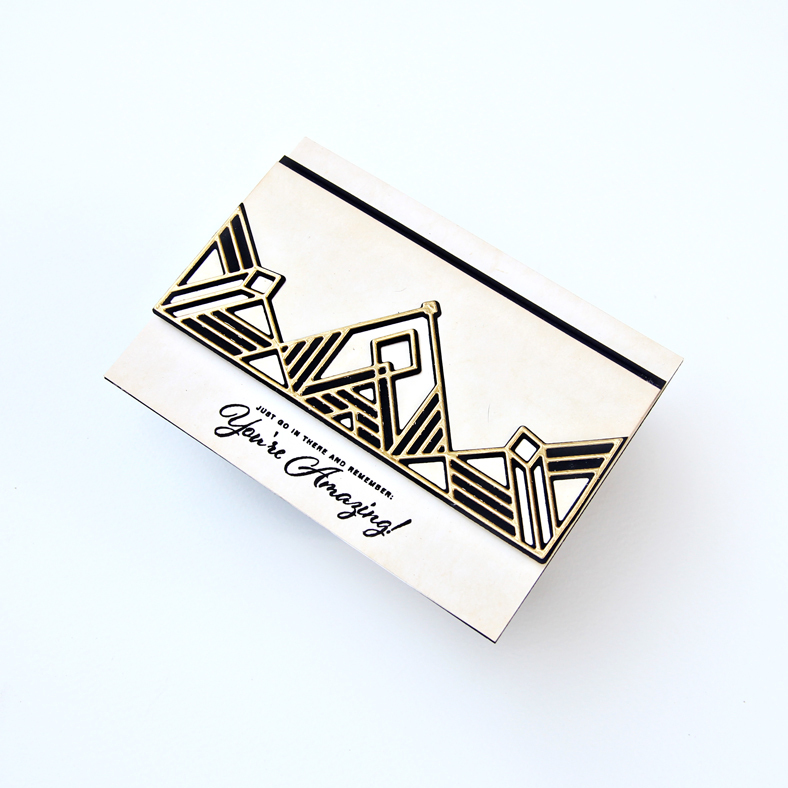 I am sharing three cards today featuring the Gatsby Die Set. I used the die differently on all three cards and you can see that it looks gorgeous and SO dramatic no matter how I use it. For my first card I used black cardstock for the intricate die and gold foil cardstock for the base die. I die cut these twice and adhere it to a panel. 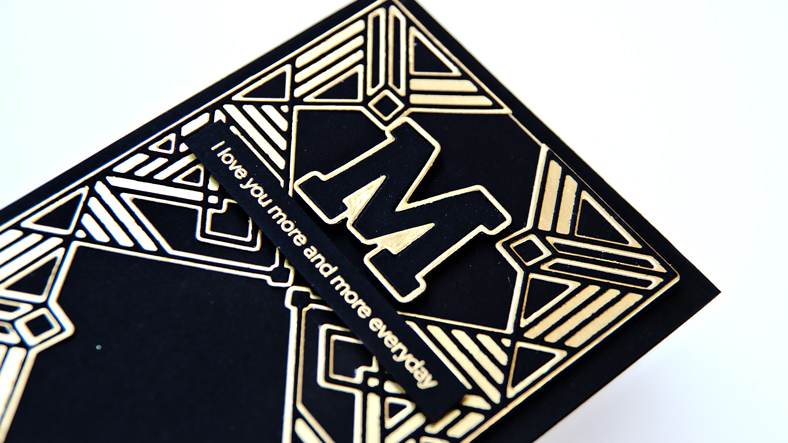 I die cut the letter "M" from Adore Alpha Die Set in both gold and black. 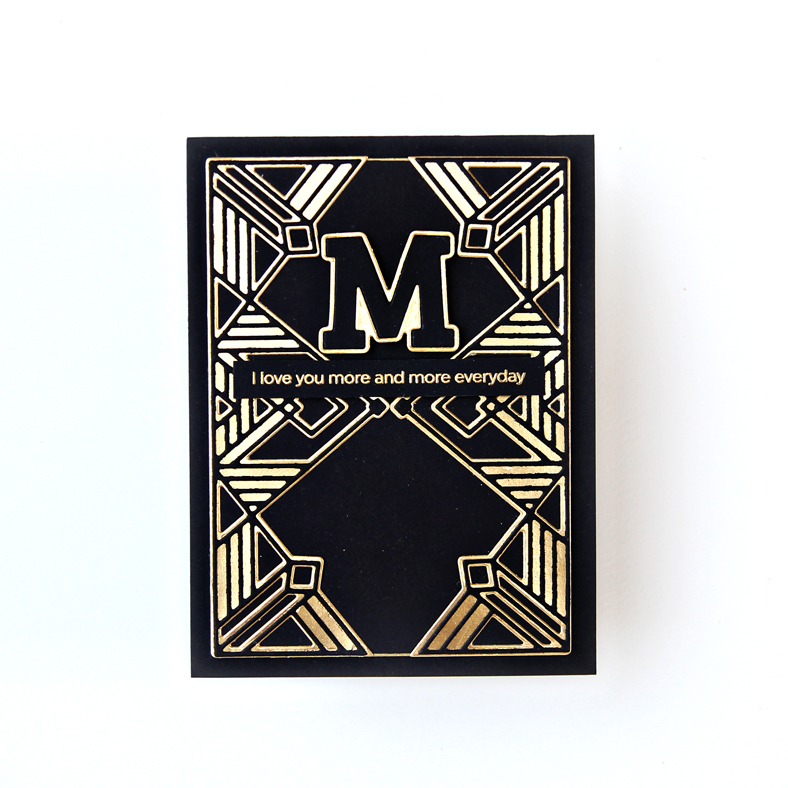 I used the outline of the gold and the solid "M" of black and adhered it to my card front. For the sentiment, I used Scripted Bold Sentiments 2. Sentiment on this card is from Oval Foliage Wreath. For this card I used gold foil to cut the intricate die and the base die was cut out of black cardstock. The sentiment on this card is from Scripted Bold Sentiments 1. I hope you liked my cards! Please leave a comment below as you can win a $25 gift certificate!! Winner will be announced on January 20th. 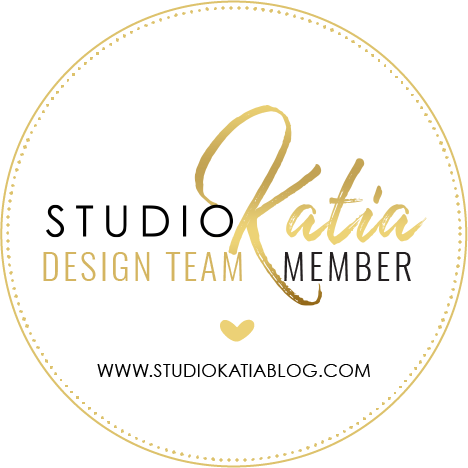 Pinkfresh Studio is also offering a free die with a purchase of $25+! It's a really pretty die! They will also be offering free/discounted shipping from January 14th-17th on orders $50+. You must use the code JANFREESHIPWITH50. Shipping is free in the USA, and $5.50 off for our International friends. Love your cards and I love that geometric die. TFS! Awesome cards. Love the gold on the black background. These cards stand out magnificently! Love the gold and black approach! These cards would be great for Masculine cards as well! Beautiful! Wow. Unique and cool cards. These would be great for masculine cards. Man, what a cool die that Gatsby die is!! I love the elegant cards you made with it! Very striking cards! These elements would make great stationary pieces or fit into the hard to make masculine card category. The very things in my stash that need upgrading. Loving the bold and masculine look to these awesome cards! Wow, it looks like the great pyramids. Very cool. Oh my goodness!!! Great way to stretch your dies, loved them all!!! Fab cards, Erum! Simply elegant. There's only one word for these cards: STUNNING! Oh my goodness these just jumped right out at me with the sharp contrast. Love the way they look so formal. The gold on black is gorgeous. what an amazing set of cards - LOVE the gold and black!! Bravo Erum! You made my day. Your cards are so beautiful and unique!!! E.T. these cards are just FABULOUS! This is my first Pinkfresh Studio blog hop and I have to say your post is my favorite thus far! I am getting such glam Great Gatsby vibes from these creations. Wonderful work! I think this is such a cool design. Love it! Stunning! The black and gold together is beautiful. Great cards! I love the gold and black it looks so elegant and it's nice to see something besides flowers, I love flowers, but something different is refreshing. I absolutely adore your cards! I am a huge fan of the Art Deco style. And you have captured its essence perfectly, Erum. The gold, white and black combo is so stunning and elegant! I absolutely love it! Gold and black is such a stunning color combo! Love these cards. Stunning cards! It's always fun to see something bold and different. Thanks! The GOLD and BLACK are so BOLD and vivid! Wonderful! The Black and Gold is perfect! love the great cards made by this new release. hanks for sharing the release ideas. Really nice, unique cards. I love the gold. Love the back and gold background, awesome designs. Wow! Your cards are so classy and gorgeous! Love them! Looks so strong and powerful. Dramatic is the word here—you used these dies to perfection! The Gatsby die is super-cool! So unique - and I love how you've used gold on black...so eye-catching! Gorgeous!! I love the gold and black!! This is my favorite die from the release and I love how you used it. The bold mix of gold & black is so elegant and stunning. I love geometrics and I find these cards to be very appealing. I didn't even realize this was just one die until I read your comments. Cool! These cards are super. The gold, black, geometric shapes. Very sophisticated. Wow!!!!!!! Such gorgeous and elegant cards! 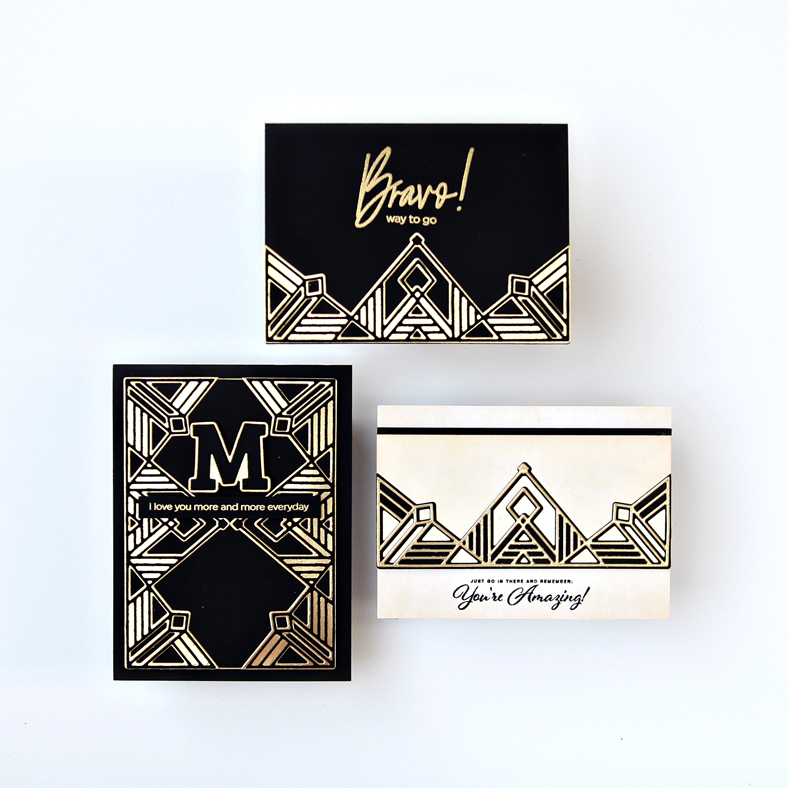 Beautiful cards, the black and gold foil with the graphic Gatsby die cuts look stunning on your cards! 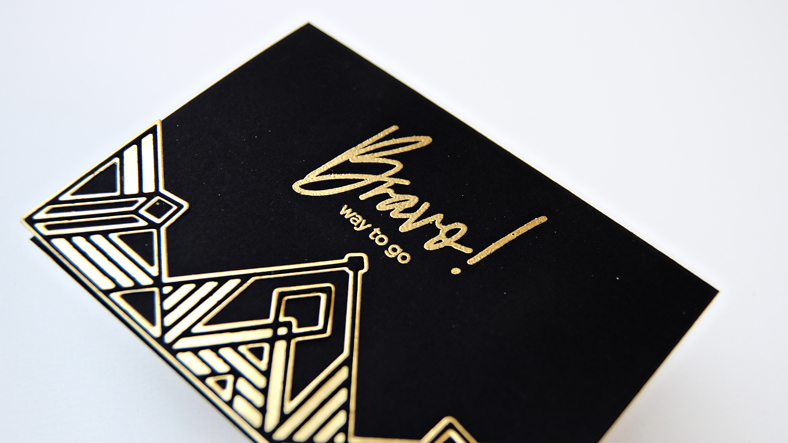 Love these cards, gold and black is a great color combo. Love the die,lovely design. I love the gold and black with that design. Stunning! You really sold these dies. Stunning cards! LOVE the graphic art deco designs. The black, white and gold is the perfect colors to showcase the designs. I love the deco style of these pretty designs! Beautiful cards! I LOVE this classy and elegant Art Deco look of your card! The colors look so beautiful together, and every detail is in place! So very elegant! Love this look! Beautiful avant-garde design!! Great job!! Wow - your cards are stunning! Wow, these are stunning, Erum! So modern and elegant, I love them! Cards look so elegant and sophisticated! Very pretty cards! love the gold and black! Drama, baby, drama! Love this release. Your creations are perfect for those products. So impressive design. These cards are gorgeous. Your cards are amazing! Thanks for showing different things to do with the die! These are so bold and stunning! This die did not really appeal to me but now I see how gorgeous it is. Thanks for the inspiration. Your cards are all amazing! Great job! Oooh these cards are gorgeous! I love the art deco style! A beautiful trio of cards!! Love the Gatsby/Scripted Bold Sentiments 1 combination! Love these cards!! Very bold!! You can't go wrong with gold and black. Love the die!! So elegant and classy! Love your cards! Erum I love the unique way you used these dies to make geometric cards. The gold and black combo is stunning. Beautiful job! Gorgeous! Very unique and these really pop on the black background. These cards are so sleek and modern! The black and gold just pops! These are stunning, Erum! I love how modern and elegant looking they are! The foil is beautiful this would be fantastic for grad cards I love the intricate design with the use of foil. You did a great job! I think these might end up being my favorite cards on the hop. I love the foil and those dies. The "M" looks like what we use for our school lettering and that main die would make great masculine cards. These are stunning! what a unique style! love it!! your cards are so elegants and so beautiful!!!! 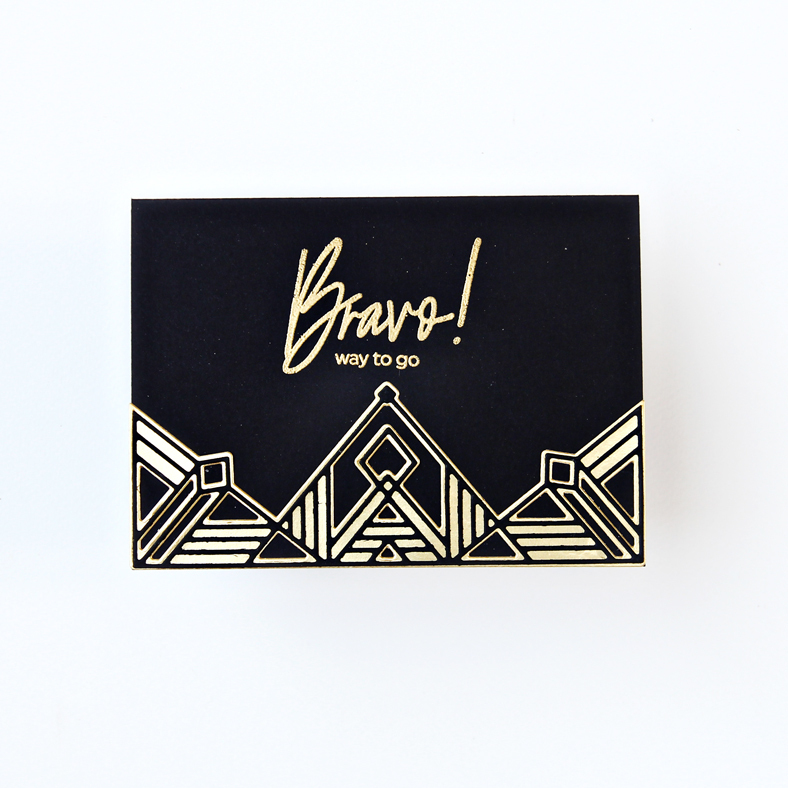 I love Art Deco and this new die is a must have for me. Love these gorgeous chic cards! Awesome--I like the Art Deco look. Really like the boldness of these cards! absolutely gorgeous! love that Gatsby die! Okay, these are super cool dies. I really like how you leaned into the art deco color palette too, Erum. Thanks for showing these off so nicely! Love the black & gold & all the beautiful geometric designs! Wonderful masculine cards ! Gold and black look so powerful together. 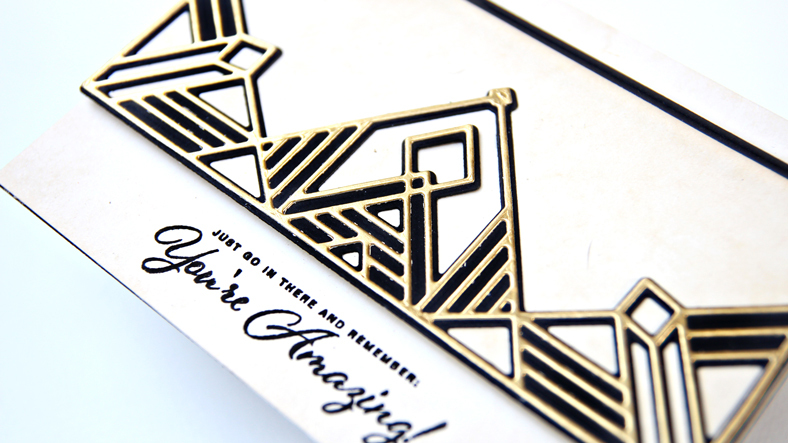 Erum, I love how you used black, white, and gold for this Gatsby die. Your cards are fabulous, all of them! These graphic designs are phenomenal and the palette adds to the elegance. Thanks for sharing your creativity. Oh I love how rich these are! Love the gold and black color combo (just made 2 of those) ... they’re simple and elegant.